Some agencies have only basic information about their population and available resources, and start from scratch when developing their data collection systems. In contrast, other agencies are rich in data, but the data are not in a format that can be easily extracted, analyzed, shared, or presented in easy-to-comprehend reports. To make matters worse, even when available, the data are often located in different electronic management systems (EMS) or separately on paper documents, which makes data integration nearly impossible. Rarely do agencies have the ability to share real-time data. Regardless of which of these problems your agency has, the first step is to review management information systems, program records, and other data sources maintained by the jail, pretrial services, community corrections, the courts and community partners to identify the characteristics and needs of their jail-involved clients, as well as the range of available resources in the jail and the community. This information is critical to create a baseline understanding of the pre-TJC state, an accurate assessment of key issues, and the development of an appropriate set of integrated responses. Once you have the baseline information, it is time to prioritize and develop a system to collect necessary data not currently collected. Some of the information will be primary data, and some will be secondary data. Data from pretrial services programs can be easily overlooked when planning reentry activities. But pretrial services programs gather a great deal of information about defendants which can be used to help develop effective jail transition interventions. Pretrial services is often the first entity to screen and assess the person and to develop a supervision plan. Pretrial staff also have relationships with providers in the community and can help you identify the health and human services available in your county. Addressing the following six questions is the best way to begin collecting and using data. 1. What data needs to be collected? Individual characteristics: age, name, race/ethnicity, education, employment history, criminal justice history, physical and mental health needs, length of stay, risk and needs factors, program participation, and geographic area to which the individual returns post-release. Subsets of the population that consume disproportionate criminal justice and program resources (e.g., frequent users, the severely mentally ill, and those with chronic diseases). Individual outcomes such as recidivism, employment, health care access, and sobriety. Your community's crime problems, locations of crimes, laws and policies that impede or facilitate successful transitioning from jail to the community. The availability and accessibility of services, gaps in services, fractured or unfunded services, data on programs, and resources that can be leveraged to support reentry. 2. How can data be obtained? 3. Who is responsible for collecting the data? 4. How confident are you that the data are accurate? 5. In what format will the data be collected? 6. How will you use the data you collect? Ada County, Idaho’s Sheriff Department collects and disseminates recidivism data in a short, easy to read and engaging format to gain support for its frequent flyer reentry program. Fortunately, there are a number of ways to address these barriers. In general, as we discussed in the Collaborative Structure and Joint Ownership module, a reentry implementation committee can help gain trust and facilitate standardized data collection among partnering agencies. You might want to hire an IT consultant if you begin to find that the data systems you want to integrate are not compatible. Finally, as was also discussed in the previous module, developing a Memorandum of Understanding (MOU) that includes a data-sharing agreement clause will ease fears of misuse of data. 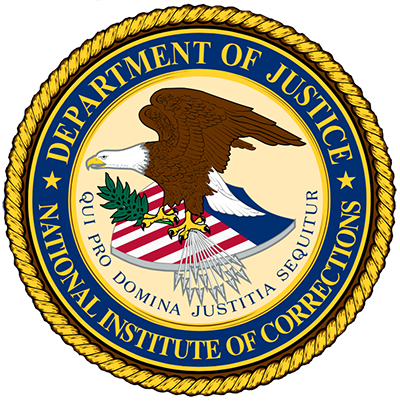 For more information on data collection, click here for the Pre- and Post-Release Intervention Sections of the Triage Matrix Implementation Tool and the TJC Pre-Implementation Case Flow Process templates to begin your inventory of the interventions in the jail facility, at transition, and in the community. 1. Howard County, MD Presentation to the Reentry Coordinating Council on Who's in the Jail. 2. La Crosse County, Wisconsin TJC case flow process diagram based on classification, Proxy screen scores and LSI-R assessment. 3. Montgomery County Department of Corrections and Rehabilitation. Confidentiality Agreement: Montgomery County, Maryland, Pre-Release & Reentry Services. 4. New York Transition from Prison to Community Strategy and MOU on Data Sharing, TPC Reentry Handbook (2008, pp. 181–196). 5. Urban Institute. Short, eight-item questionnaire to identify if your agency collects the following criminal justice client data. 6. Urban Institute. A detailed list of suggested TJC baseline measures of jail population characteristics. 7. Urban Institute. TJC Performance Management Worksheet. A detailed chart of TJC baseline measures of jail inmate population characteristics in Excel format and a memo providing guidance to assemble the initial TJC performance indicators. 1 Chuck Shorter, “Barriers to Accessing/Sharing Data.” Presentation of the data sharing and access subgroup of the Center for Disease Control. Available at http://online.fliphtml5.com/dpxe/vohv/ and http://www.cdc.gov/nceh/tracking/wkshop04/pdfs/II/discuss1/1_shorter.pdf. Let's revisit what we have learned so far in the Data-Driven Understanding of Local Reentry module. Please select the phrase that correctly completes the following sentence. Verify the accuracy and quality of the data. Ensure that the data are disseminated as widely as possible. Analyze trends and patterns of your jail population. Identify what is not working in your facility. In this section you learned that it is important to thoroughly review what data are currently collected by your initiative partners. Staff and other agencies can help you to identify gaps in your current data collation systems. A data-sharing protocol can be established through the use of a memorandum of understanding. A sample memorandum of understanding was provided.